Year 4 had a fantastic day at the Old Hall at Tatton Park. They experienced life during this time period. They learned how to grind wheat to make flour in order to produce flat bread. They learned the importance of creating a shield wall and learned about hunting deer. Turning the wheat grain into flour. Adding the herbs to the flour to give it flavour. 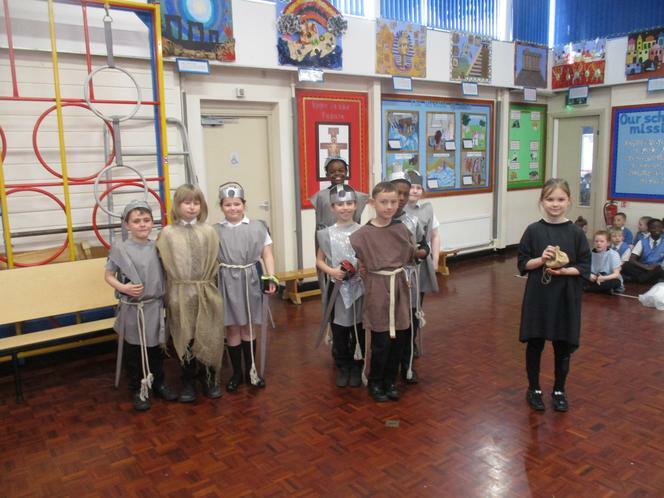 Viking warriors creating a shield wall. This term we will be looking at fractions. So make sure you are using your fraction walls and finding the equivalent fractions. Learn your times tables and your division facts too. 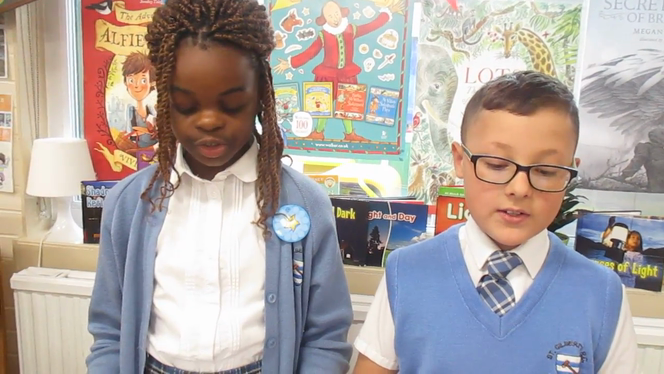 Do visit Times Table Rock stars ! We will be doing statistics and of course addition and subtraction. Using the digits 1, 2, 3 and 4 and +, - , x and ÷ symbols make the numbers from 1 to 30. Each of the numbers has to be used every time, for example 1 + 2 + 3 + 4 = 10. Some pictures of us creating an equivalent fraction wall in class. This week in Maths we did some chocolate fraction problem solving. There were three tables; one table had 3 bars of chocolate, another table had 2 bars of chocolate and another table had one bar of chocolate. 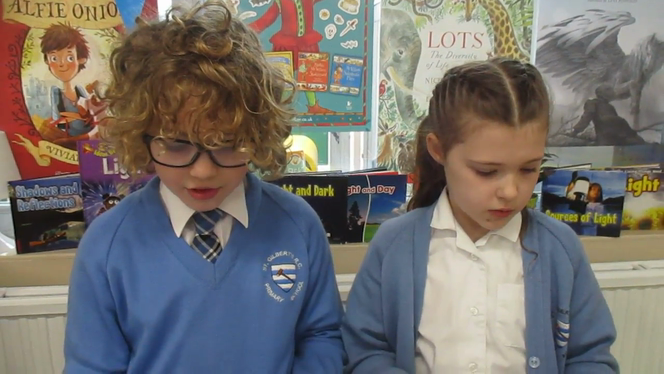 We tried to work out which was the best table to visit in order for the chocolate to be shared out equally. We had to work logically to share out the chocolate. It definitely needed us to know our times table and division facts. Please continue to learn the Y3/Y4 common exception words. Read every night with an adult or older brother or sister. The spellings for the Spring term 2. Runners up. Well done Matthew , Grace and Elliott ! 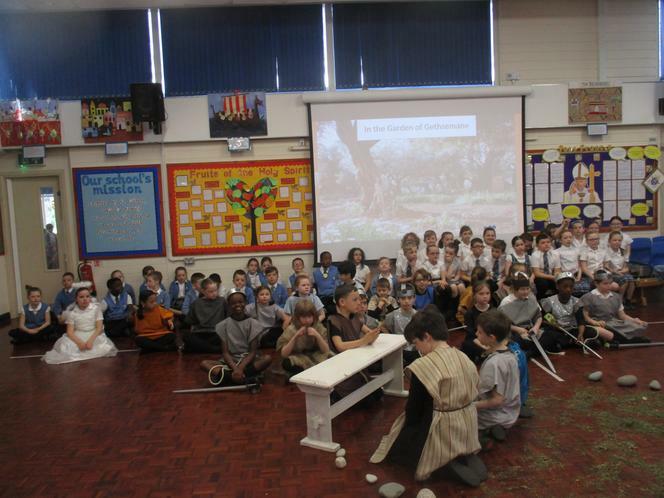 Year 4 children learned lots this week about the great writer- Shakespeare. Our Shakespeare text was The Tempest. 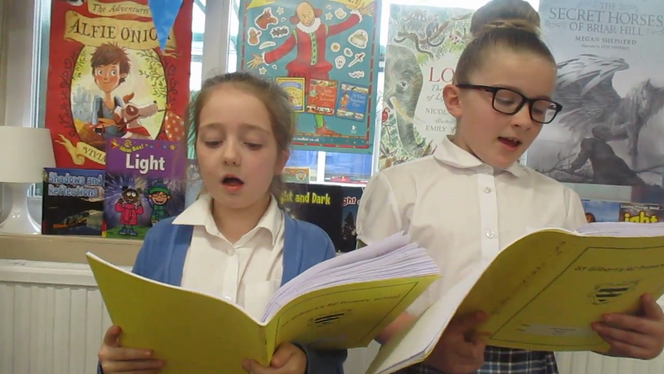 During this week we looked at a style of poetry called Kenning. 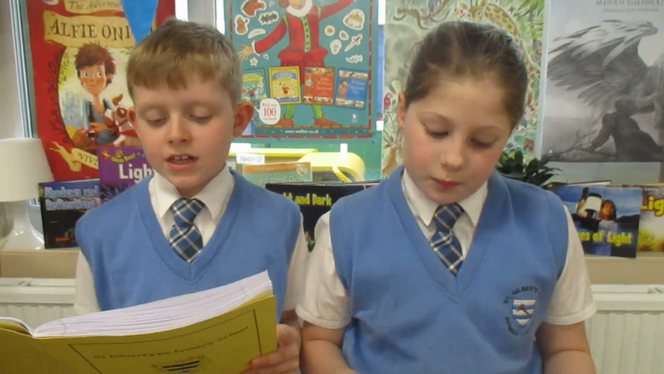 This style of poetry is extremely old and dates back to the Anglo Saxon and Viking times, our topic. 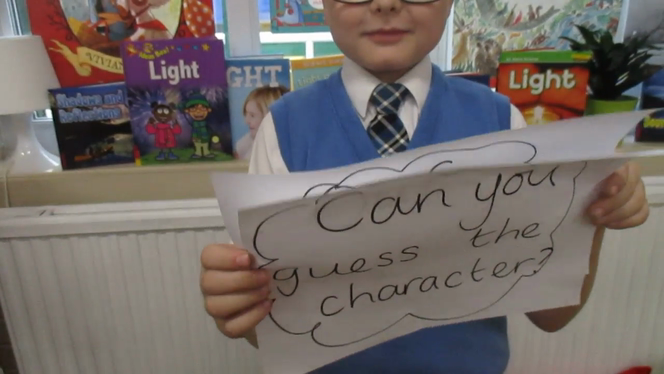 We used the Kenning style to write about the Tempest characters. Here is some art work where the children tried to interpret The Tempest using the style of Wassily Kandinsky. Our RE topic for Spring was the Eucharist- Receiving and Giving. This also linked very nicely with Holy Week. 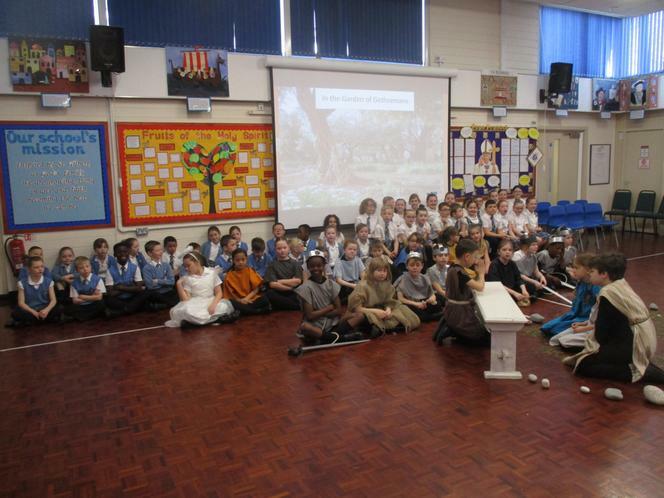 The Year 3 and 4 children did their assembly on the Garden of Gethsemane. They did themselves proud! 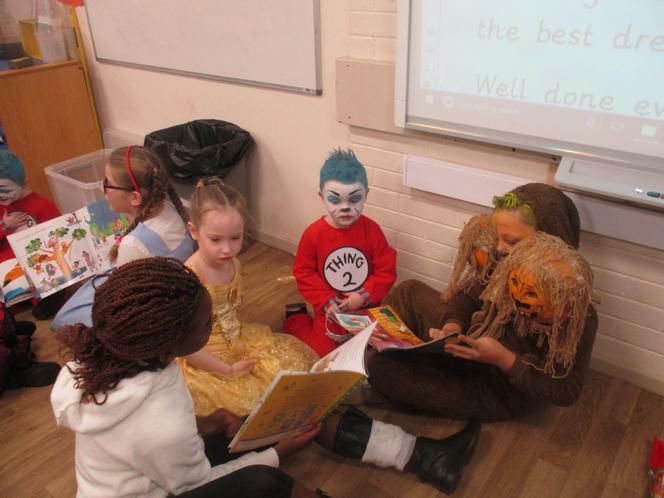 A great big thank you to all the children who took part . They were eggcellent ! Year 4 designed amazon rafts for their class topic on The Amazon Rainforest. At the end of the topic they had a raft race to see which raft was more robust. Well done to the winner ! 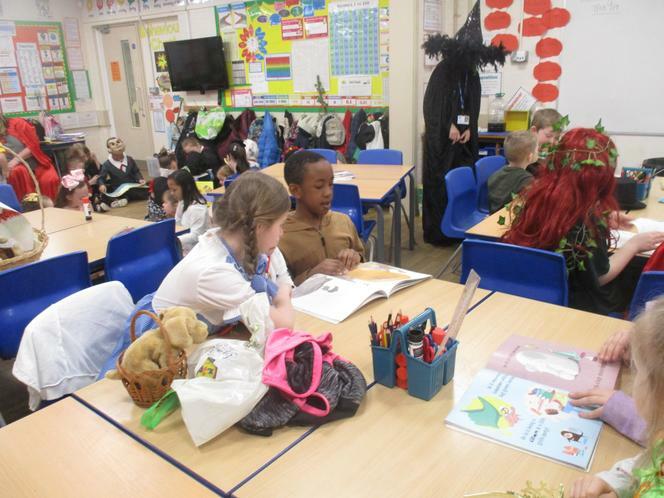 We had fun dressing up as characters from different books. 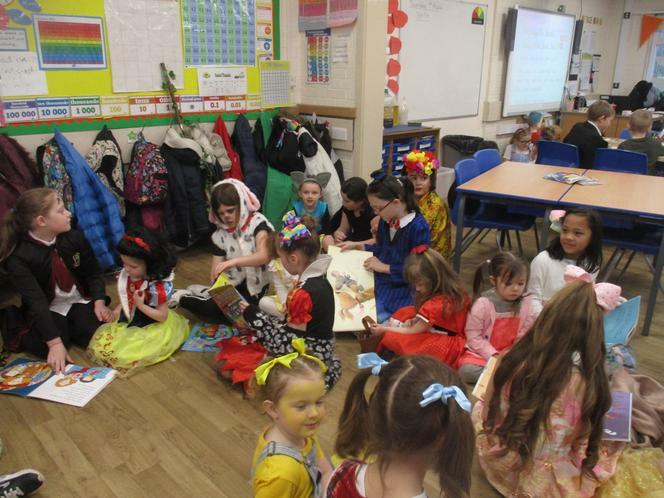 The Book Fairy, The Queen of Hearts and The Three Headed Lion won the day. 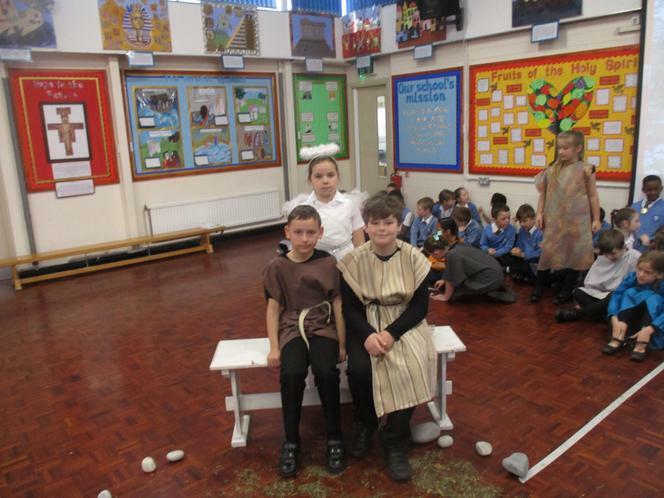 Thanks to Parents and children who made a fantastic effort. 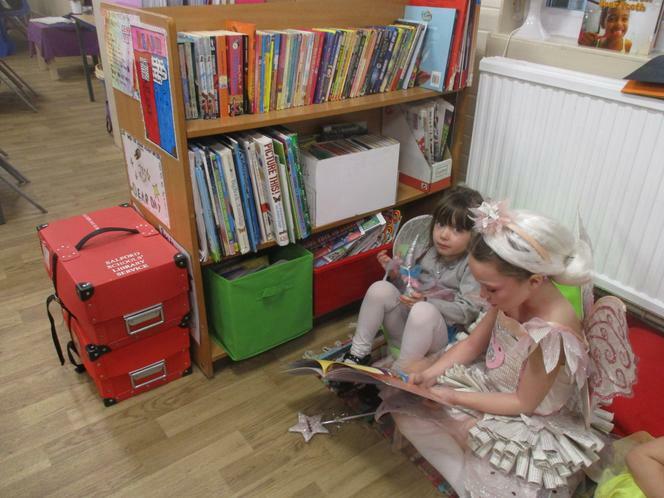 Year 4 sharing books with the Nursery children.